I suspect that not many bloggers write posts on public conveniences … most of them being either unremarkable or indescribable (the loos not the bloggers). 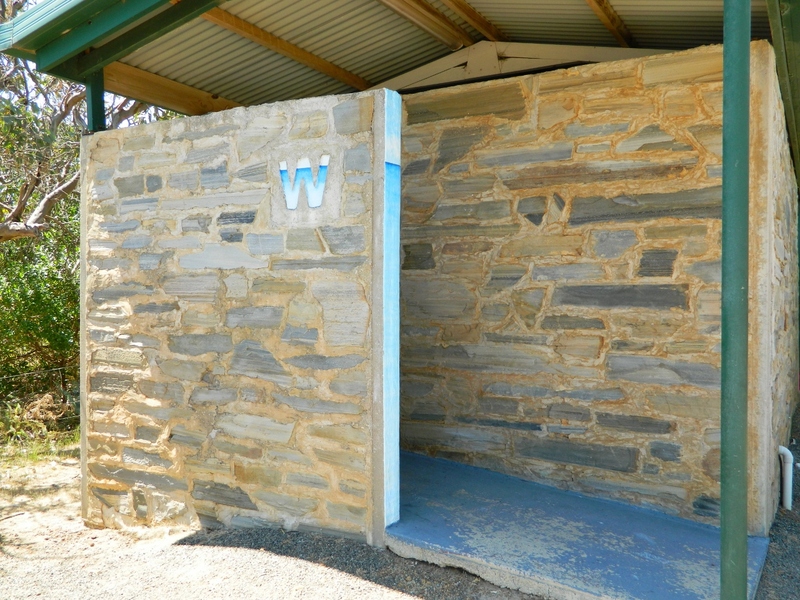 But the loo at Stokes Bay on the north coast of Kangaroo Island deserves a special mention. At first glance, nothing unusual, just a conveniently placed beach loo. 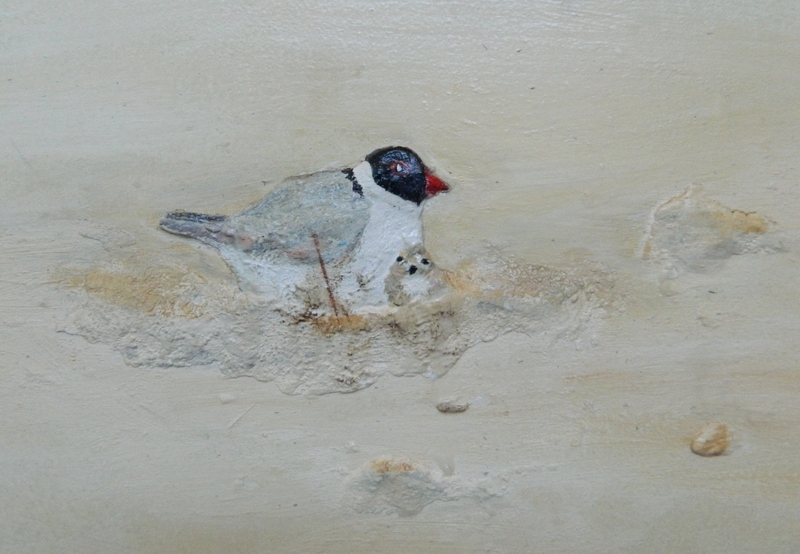 A bit of research uncovers that the project was part of Eco-Action’s BirdLife Australia Beach-Nesting Bird Project funded through the Federal Government’s “Caring for our Country”. 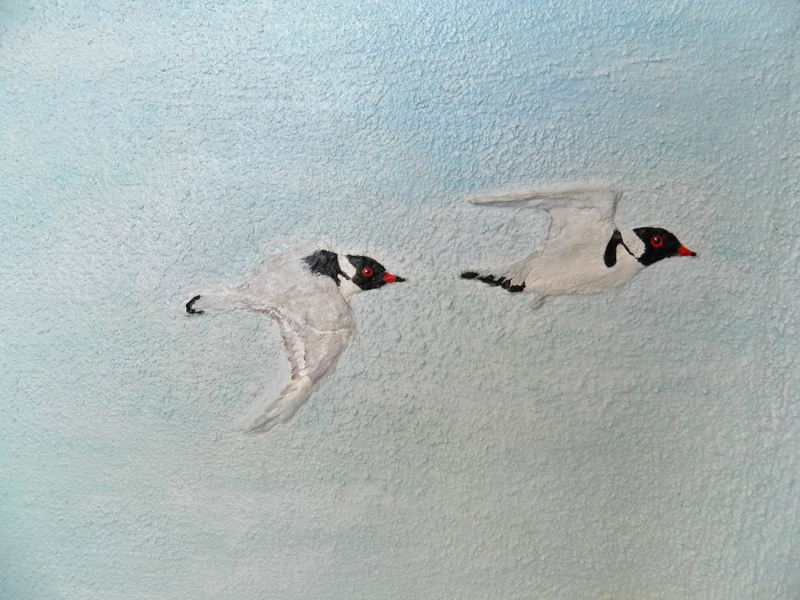 Two artists Gay De Mather and Lara Tilbrook spent a summer preparing the site and plastering and painting the walls. 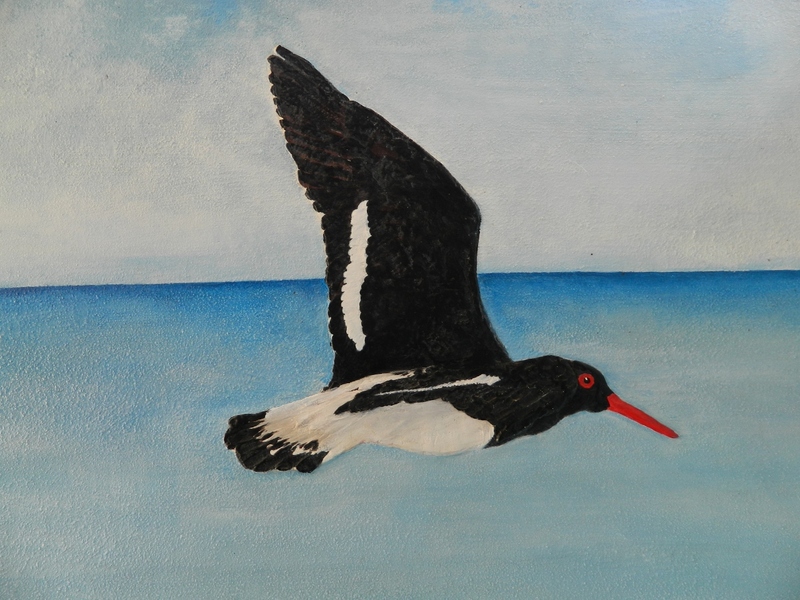 The murals focus on the life of beach-nesting birds, Hooded and Red Capped Plover and Pied and Sooty Oyster Catchers, and the impacts that humans, dogs and predators have on them. This is the first time that a public convenience has been the highlight of my sightseeing day. Unfortunately it probably means that I will be visiting them on a more regular basis, whether I need to or not!